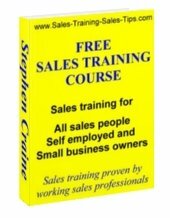 Sales training free courses, information, and downloads, from a working sales manager. You can start using any of the free online sales training today to increase your income and grow your small business sales. Throughout this site there are sales training free pages. Here I have gathered all the free sales training together for you to use. No obligation to buy anything and we don’t even ask for you to register with us or enter your email address. ...Unless you want the Sales Buzz, our free newsletter sales training.. ...Which would be difficult to deliver without your email address..
All the sales training free pages can be viewed, saved, used, and passed on to friends and colleagues. Have a click around and see what you think. The most expensive training is not always going to get you the best results. A simple, easy to use sales training course could be far easier to put into action than a complete new sales strategy presented on an expensive course. A practical sales or appointment making process, proven by working sales teams, may get you great results for minimum cost. This is sales training that you will not find in traditional courses or books. Developed with working sales professionals, it shows you how to connect all the stages of your sales pitch and sell with confidence. You will see techniques on grabbing your customer's attention and motivating them to move with you towards closing the sale. As a working sales manager I've seen these sales skills work really effectively for all types of sales roles, including Direct sales, B2B, Field sales, Retail and showroom, as well as Telesales and Appointment setting. For more information, and to get your free copy click the image above or open Free eBook on Motivators & Connectors. The quickest way to create a sales pitch or improve the one that you currently use. The Accelereated Sales Training Course is so effective because it starts by focusing on only the key elements of the sale. You quickly learn a 5 step selling process. Then you add the important key elements of each sales stage. This accelerated training can be put into action in just minutes. The course has worked really well for sales people in a wide range of industries, and small business owners that sell goods or services. For more information click the image or move to Free Sales Techniques Training. Free sales training on how to make sales appointments that will show you how to build your own free cold calling scripts. The free sales training course is only 8 pages long. I’ve included the most important elements of each stage of a sales appointment cold calling script. Then given you sales training on how to put them into action to increase your sales appointments. For more information click on the image above or open Free Sales Training on making sales appointment calls. 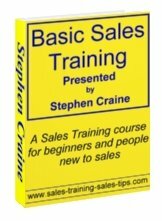 Basic sales training that shows new sales people, self employed and small business owners, how to sell with an easy to use free sales training program. A lot of sales people and sales trainers make selling sound a lot more complicated than it actually is. Effective sales techniques should be easy to learn and quick to put into action. I manage sales teams for a living and I often take on people with industry knowledge but no sales experience. In this free eBook you will find the no nonsense approach I take to help people new to sales to quickly become confident and successful. If you are new to sales, sell your own services or products, or want to see a Basic sales training free course click the link or the image. You will use this self development and motivation tool throughout your sales career. A sales training and motivation tool for you or your sales team. Boost your motivation between sales appointments or telesales calls, and get into a great selling state. You can use it to build new sales pitches for any product or service. A really effective tool for improving your existing sales pitches. 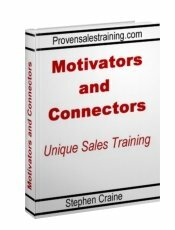 Get this free training now at Self improvement and motivation for sales people. To help us develop more free sales training would you leave some feedback on the eBooks you use. 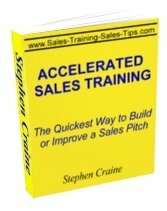 The free sales training on this page has been developed with feedback from sales professionals, like you. In return for this free resource, and so we can develop more for you, would you leave some feedback on the ideas and techniques. Feel free to add brief information on your business and how you used the training. You can also include contact details, email address and website link. Simply click in the box below and start typing. It’s that easy. Simply click in the box and type to leave your feedback. Tell us what you made work best for you. How did you adapt the training for your sales role. What had the most impact and what are you going to do next. You can even include a picture of you, your business, or your product. Don't worry about grammar or spelling, all entries are checked and edited where necessary. Do you have a picture to add? You, your business, your sales team, or your product. 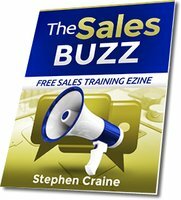 The Sales Buzz is a free newsletter that focuses on sales training and sales tips that are important to all sales people in all sales roles. Practical ideas and techniques that have been developed and proven by working sales teams. No classroom techniques, no acronyms, and definitely no waffle or sales pitches for stuff you don't want. When you complete the box below for the free newsletter sales training, you’ll get a free sales training tool called Need-to-Close Chains. Read the details below, it really is quite unique. Get your copy of The Sales Buzz and your free sales training course on Need to Close Chains by completing the box below. 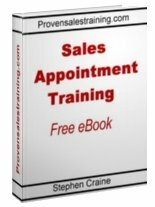 When you take The Sales Buzz Sales Training Free Newsletter you get this great free sales training workbook. When you take the free sales training newsletter you get a free copy of Need to Close Chains. A quick-fire sales training technique that builds new neural pathways to give you practical selling skills, and control over your sales motivation. 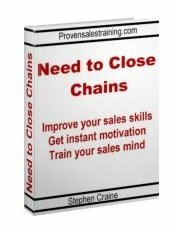 Complete the Sales Buzz free newsletter sales training box above and get the Need-to-Close Chains sales training free. All 4 of our top selling sales training courses in one complete package and with a special 30% discount on the usual price.